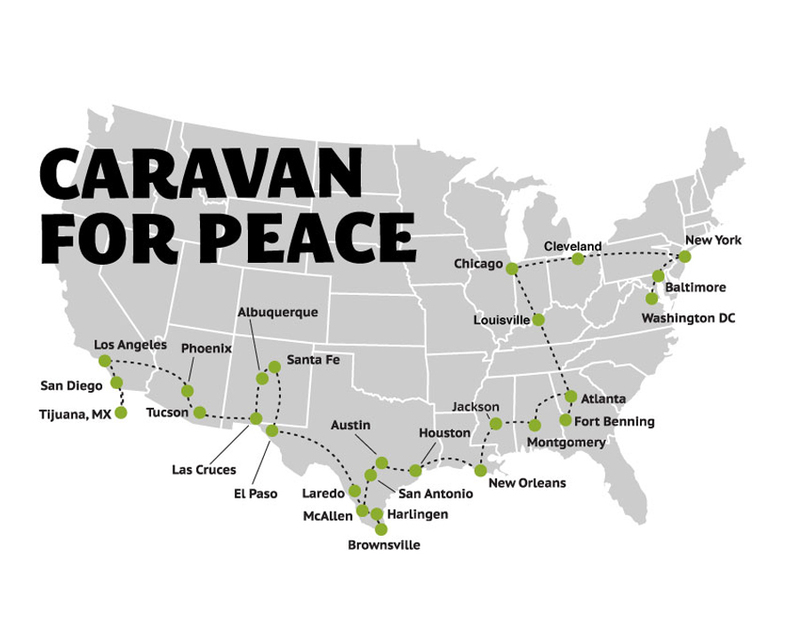 Have you heard of the caravan for peace? It is a historic first in North-South organizing for peace and justice and I’m writing to ask you to play a key role in making it happen as interp. 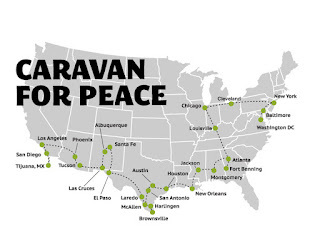 The Mexican movement for peace with justice and dignity in Mexico has done two of these caravans in Mexico that have had a big impact on discussion and policy in Mexico around the violence there, and now they’re bringing this tactic over the border with a 30 day caravan of 110 people, 50 of whom are Mexicans who have lost family members to the violence, crossing the US. I know you know that things have been getting ugly in Mexico. More than 60,000 people have been killed in drug violence in Mexico in the last few years. 10,000 people have been disappeared and over 160,000 displaced. The US is sending more and more military aid and more and more guns are crossing the border. Of course this has been making things worse. Of course good dialogue is going to require great interpretation. This entire caravan is being run as a volunteer effort. For health reasons I wasn’t able to go, but from Vancouver I have been spending a ton of time volunteering to help coordinate the interpretation. Some fabulous committed interpreters have stepped up to volunteer and travel with the caravan. They are working incredibly hard and they need your help! If the caravan is coming to your town, could you please donate your services for a few hours at an event? If so, could you please email me at sara (at) Spanish for social change (dot) com? Again, Exact dates at each here, scroll below map for calendar or just click on your city on the map for details. And please, any help spreading the word of this call is much appreciated!